We don’t leave the movie’ and grooving’ to the littles. We have something for every adult interest and skill level. Get fit while you wait for your child, or join us for fun, anytime! Our classes are formulated for Teens with no experience through an experienced adult dancer. Ballet is the classic dance form that can be enjoyed by any age. No experience necessary, our ballet classes are tapered to each individual student. 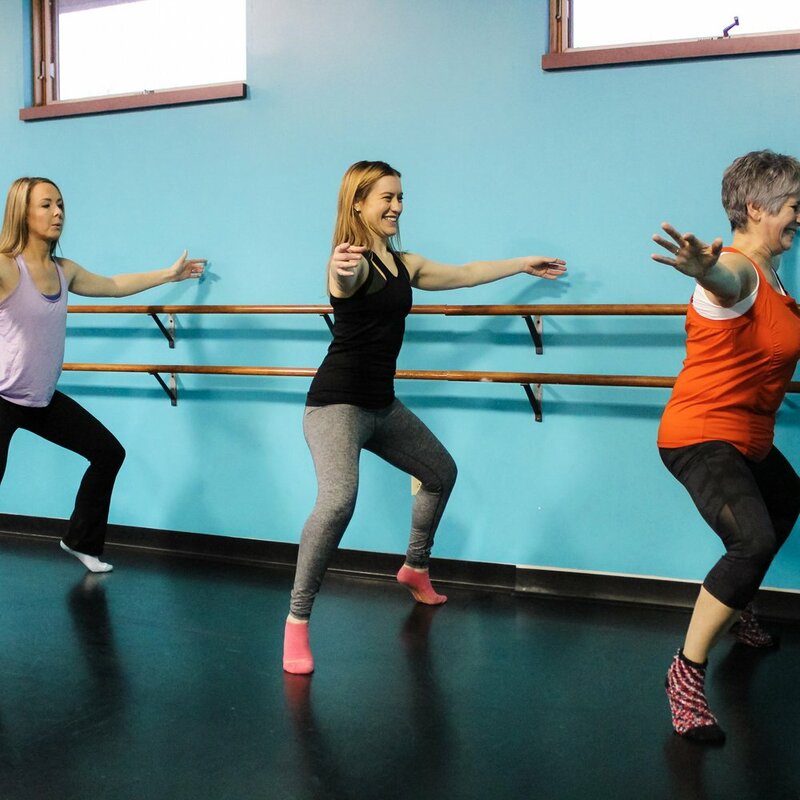 If you are interested in a more static class, try our Barre Class, which is a ballet based fitness class that will give you a whole body workout! We have a whole range of classes that will not only give your body a work out, but will also leave you feeling energetic at the end of class. We offer classes in tap, Jazz/Contemporary and Hip Hop for all ages and ability levels. Our fitness classes are the perfect fusion of fitness, fun and dance! Barre Fitness is a ballet based class with a mix of Yoga and Pilates that will have your bum feeling tight in no time. Our Cardio Fitness class will have your blood pumping and burning calories to have you looking your summer best.